It is that time of year again when we start getting organised for cricket. Winter sports have not yet finished but behind the scenes cricket has started. 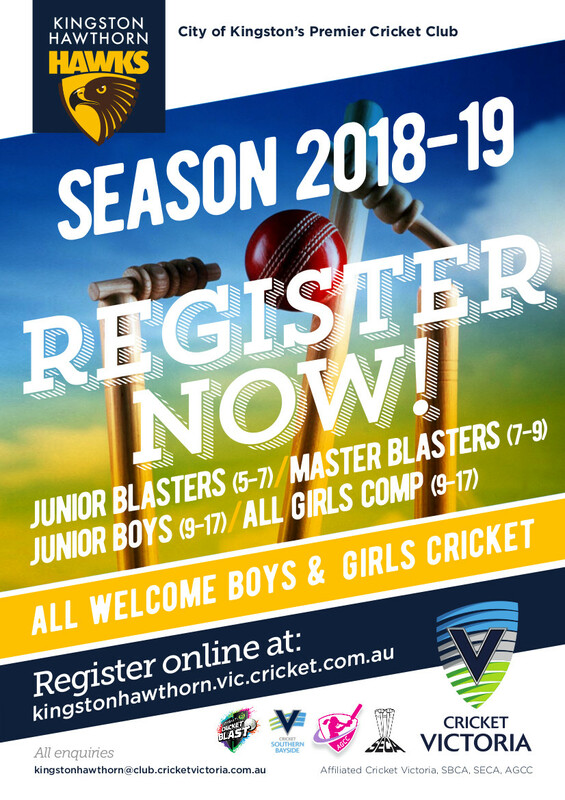 Please could you give me an indication by return mail (suecater@iinet.net.au) if your son / daughter is planning to play again for Kingston Hawthorn this year. We will again be running an U14b team, an U12b team, a Rookies and All Girls team/ teams. Matches start in October. Fees for Juniors will again be $150. We will do some ad hoc training in August for anyone who wishes to attend dates to be advised. Training proper will start during September date yet to be confirmed.